The Spiritan Education Trust (formerly Des Places Educational Association) is a company limited by guarantee set up in 1999 by the Congregation of the Holy Spirit designated to act as Patron of the nine Spiritan schools and colleges in Ireland. Up to that time the official Patron was the Provincial Superior of the Congregation of the Holy Spirit in Ireland, assisted by the Provincial Council. 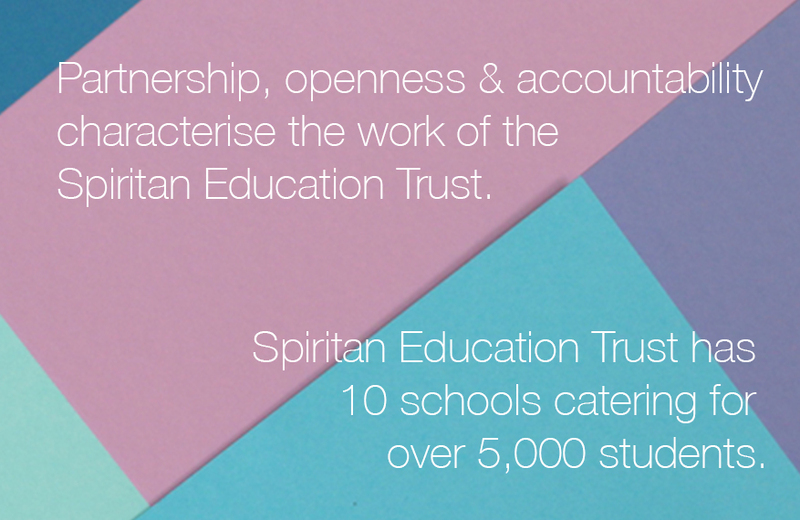 The Spiritan Education Trust company consists of two bodies, the Members of the Company and a Board of Directors. The Members of the Company are the Provincial Council of the Congregation together with other co-opted Spiritans. The affairs and business of the Company are managed by the Board of Directors, who are members of the Congregation and lay persons. An Executive Education officer, a Faith and Mission Officer, as well as a Financial Officer, are employed by the Board of Directors. The Chairman and all other Directors of the Board give of their time and expertise voluntarily. The trust encourages education policies, programmes and practices which nurture and develop the abilities, talents and interests of each person in ways that promote and champion active local and global citizenship and solidarity with people who are marginalised. Guided by the Holy Spirit in our relationships, choices, behaviours and decisions. Working together as a network of schools who are committed to the fulfilment of every individual’s human potential through support and advocacy. To create an awareness of the disadvantaged in our society and to promote a responsibility of the better off towards a global society where poverty is eliminated. To follow in the footsteps of des Places by building a commitment of service to each other and to our communities. Reflecting the missionary outlook of the Congregation, Spiritan education works for the empowerment of peoples and their liberation from injustice, poverty and ignorance. The realisation of each person’s holistic potential and to strive for excellence in all areas of life. The moral, spiritual, intellectual, physical, social and cultural aspects of each student’s development is at the heart of the Spiritan vision of Education.